Going For Gold is Back!!! 1- The all-new Going For Gold intro screen – it also features the original music (albeit slightly updated) sung by Sandy McClelland and composed by Hans Zimmer. 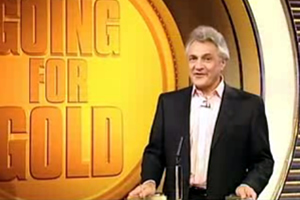 2 – The all-new Going For Gold set – plenty of gold everywhere and John Suchet is all ready to present the show! 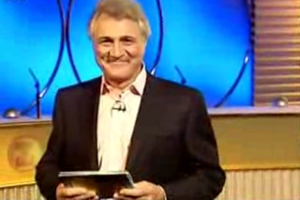 3 – John Suchet prepares to quiz plenty of contestants on all general knowledge! 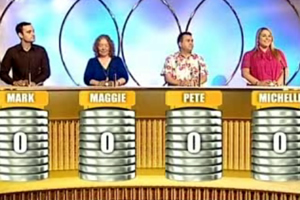 4 – The first round, ‘Beat The Buzzer’ sees the four contestants score 9 points to get to the next round…notice the all-new graphics but same concept as the original version. 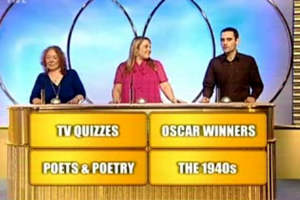 6 – ‘Four-in-a-row’ is just that – Each contestant must score the highest in 40 seconds of furious question answering. If they get an answer wrong it’s back to zero but whatever their highest score after 40 seconds, that’s what they’ll earn. The best performance is obviously 4 answers in a row! 7 – And it’s the Final!!! 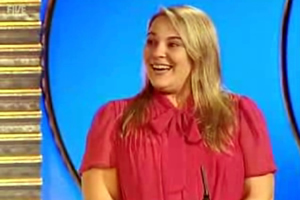 ‘Head to Head’ sees the qualifying two contestants beat each other at a duel of general knowledge. Contestants can only answer the question while they have control and will earn the points in the corresponding zone if they answer correctly. Notice the all-new graphics for the ticking level. It’s all gold coins! 8 – Talking about coins – look! The consolation prize is a fantastic (or maybe fantastic) Going For Gold Commemorative Coin (or Medal). It just looks a little too silver/bronze to me… This is awarded to the loser of the ‘Head to Head’ round. 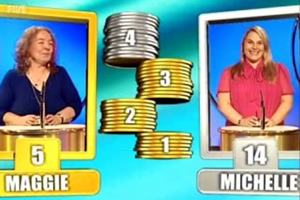 9 – Michelle from Sheffield becomes Going For Gold’s first champion of the new version! Congratulations to Michelle! 10 – John Suchet can now have a good lie down and strong coffee as he prepares for the Extra show! Good job, John! Hi all! Today I’ve got another Going For Gold treat as we’re here on the eve of the exciting return of this fantastic game show. The treat is a detailed biography of the new presenter, John Suchet. You’ll know John as one of ITN’s major news presenters and a classic music fan. Well, now he’s taking on game shows and we look forward to that! Anyway, here goes… John Suchet in-depth… enjoy! 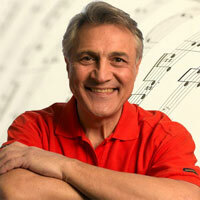 John Suchet was born on the 29 March 1944 and is a British newscaster and television presenter. Of Jewish and Anglican descent on his father’s and mother’s side respectively, Suchet attended the Uppingham School in Rutland and went on to study at the University of Dundee. He was awarded an Honourary Doctorate . In 1972, Suchet would commence a long run as newscaster for Indepenedent Television News. He presented various new bulletins from 1972 right up to 2004. Bulletins included News At One and later the time revised News at 1:30. 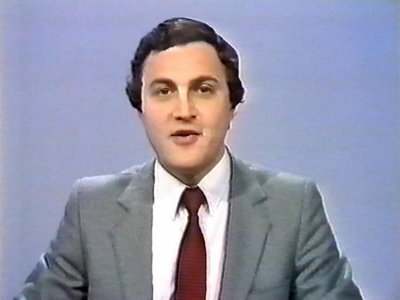 He was also one of the anchor presenters on News At Ten, ITV’s most coveted news programme. John Suchet in a promo for Classic FM is a big classic music and Beethoven fan. In 1992, Suchet became one of the main presenters on the ITV Early Evening News shortly after it replaced the News At 5:40 programme and this Suchet continued to do until 1999. Up to 1994, Suchet had alternated with Carol Barnes to read the news on the bulletin after which Suchet became the sole presenter. Suchet had also replaced the traditional early evening newscasters for ITN, Michael Nicholson and Alastair Stewart. Suchet participated in special event programmes for ITN including the coverage of Princess Diana’s funeral, election coverage shows and the Budget. Into the new millennium, Suchet shifted television channels to become one of the newscasters for Channel Five after a brief break from news reading on ITV. Suchet also featured as guest presenter on This Morning on ITV and a guest panelist on Five’s The Wright Stuff. Suchet has also got involved with radio work and hosts the show, Composer’s Notes on Classic FM. Suchet has admitted being a Beethoven fan and has toured with his material. Also, Suchet mentioned he could speak lots about Chopin on a recent Going For Gold show after the composer was the answer to one of the questions. The latest work for Suchet sees him present the new format of Going For Gold which plays on Five and sees its revival some twelve years later. 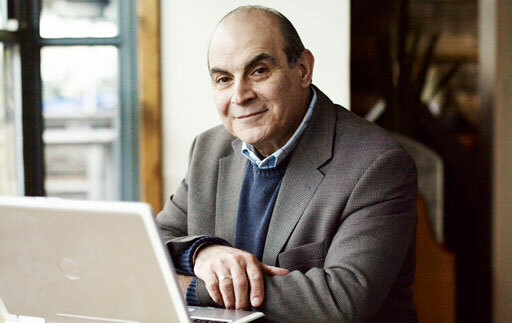 David Suchet is one of John's younger brothers and famous as fictional sleuth, Hercule Poirot. Suchet’s younger brother, David Suchet is well known for his role as the famous fictional Belgian detective, Hercule Poirot, created by crime writer, Agatha Christie. In a recent episode of BBC’s genealogy programme, ‘Who Do You Think You Are?’, David Suchet appeared trying to trace his ancestors. John Suchet featured briefly in the programme helping his brother with the research. The programme revealed that the Suchets’ paternal grandfather was a Lithuanian Jew and that the surname Suchet originated from the original name, Suchedowitz. 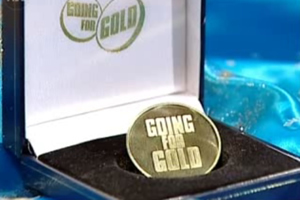 Today as part of my ongoing Going For Gold coverage I include a detailed history of Going For Gold and I will be updating this list as we learn more about the new series. Enjoy! 12 October 1987 – First broadcast of Going For Gold on BBC One. Presented by Henry Kelly. Featured contestants from all over Europe and four rounds. The show duration is 25 minutes and is pre-recorded. This format would last throughout the 10 series broadcast on the BBC. 31 March 1988 – Last show of Series 1 (total 92 episodes and the longest series of all). The winner was Daphne Fowler of England. She is currently one of the team captains of the game show, Eggheads and has taken part in a multitude of other game shows including Bullseye, Sale Of The Century and Jeopardy! 17 October 1988 – First show of Series 2. 23 March 1989 – Last show of Series 2 completing 82 episodes. The winner of Series 2 was Erik Matteson of Norway. 6 November 1989 – First show of Series 3. 22 March 1990 – Last show of Series 3 with 67 episodes having been produced. Howard Atkinson of England became this series’ winner. 5 November 1990 – First show of Series 4. 22 March 1991 – Last show of Series 4. A total of 65 episodes was produced and the winner was Luc Sucholtz of Belgium. 4 November 1991 – First show of Series 5. 18 March 1992 – Last show of Series 5 with 58 episodes aired – this would become the shortest series in the older format. Soren Bergman of Denmark took the winner’s title this series. 7 September 1992 – First show of Series 6. 18 December 1992 – Last show of Series 6. 60 episodes were screened. Christine Coslett of Wales won this series. 26 July 1993 – First show of Series 7. 12 November 1993 – Last show of Series 7. 68 shows were broadcast and James DeLoss of Belgium took the winner’s title. 25 April 1994 – First show of Series 8. This series began very shortly after the previous series and began a pattern of series broadcasts over the spring-summer seasons. 25 August 1994 – Last show of Series 8. 59 shows were produced and Mieke Poelman of The Netherlands was series champion. 27 February 1995 – First show of Series 9. 5 July 1995 – Last show of Series 9. 73 episodes were aired having been one of the longer series in a while. Sven Goll of Norway won the series champion title and became the final pan European champion as the next series would see only contestants from the UK. 1 April 1996 – First show of Series 10. This series saw contestants only from the UK feature. Contestants would represent different parts of the UK. 9 July 1996 – Last show of Series 10 and the last to be broadcast on BBC One and to be presented by Henry Kelly. 59 shows were aired and Mike Ramsden representing Kent became the series champion. 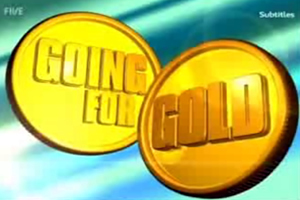 September 2008 – News of a revival of Going For Gold passed round the media and was finally confirmed by Channel Five. It would be presented by John Suchet and retain the general show format, music and sound effects from the original show. [EDIT: 13/10/2008] 13 October 2008 – First show of Series 11 (or Series 1 of the new format) aired on Channel Five. Hosted by John Suchet the show loses the first round (of seven contestants) and begins at the First Round Proper or ‘Beat the Buzzer’ round. This slight revision in show format brings it in line with other international formats including most particularly the French version, Questions Pour Un Champion. The new series features contestants from different parts of the UK although there will be occasional shows featuring contestants from around Europe. There is less emphasis on the regions represented by the contestants. 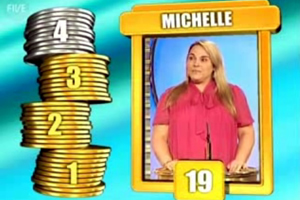 The show also now features interactive phone competitions and an additional separate 15 minute show called Going For Gold Extra in which the studio winner plays against someone at home. The main show is also much longer than the original format at 1 hour and is broadcast live. [EDIT: 23/10/2008] 23 October 2008 – One of the first contestants to appear on the initial show of Series 11, Michelle from Sheffield completes a successful run of eight shows as she became studio champion on each show since its start. She amassed over £14,000 and won the Extra show 6 out of 8 times. She lost in the ‘Four in a Row’ round in this episode. 19 December 2008 – This is the expected date of the final episode of Series 11. 50 shows have been commissioned. 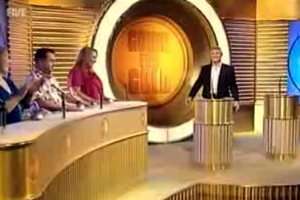 About Going For Gold – what is this game show all about? All this to come its way! Come back soon for more! Going For Gold is coming back! It has been announced that the game show Going For Gold is coming back on our TV screens! Yes, it’s true! The excellent game show that used to play on BBC is returning on channel Five on 13th October. Henry Kelly who used to present the show will not be back to present it, but instead it will be presented by former ITN Newscaster, John Suchet. And what’s great is the theme tune and all the great rounds such as Beat The Buzzer, Four In A Row and Head To Head will all be back! It’s all good! 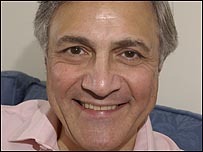 John Suchet was said to be very excited about the show as it is something different. And it will be very interesting to see how it will all go! In the next few days to the build up of the new game show, I will be writing blog articles of the golden years of Going For Gold including history, the games, the theme tune and Henry Kelly himself, the man who represents Going For Gold. So do come back for all this and more! What do you think of Going For Gold? Let me know of your personal Going For Gold experiences whether you were a viewer or a player!